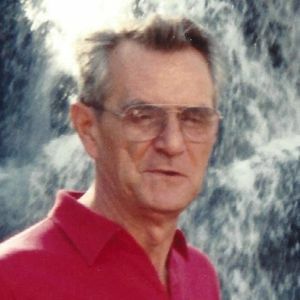 CENTRAL CITY - Gathel Leon Vincent, 75, of Central City, died Wednesday, July 27, 2016, at 7:20PM at his home. Mr. Vincent was born September 29, 1940, in Muhlenberg County. He was a coal miner and truck driver, and a member of First United Methodist Church in Central City. He was a U.S. Navy veteran. He was preceded in death by his parents, Elzie and Irene Vincent; first wife, Sue Yonts Vincent; brother Steve Vincent; and daughters Carol Denise Vincent and Cheryl Vincent. He is survived by his wife, Sue Ann Lile Vincent of Central City; daughters Susan (Dale) Inman of Russellville and Pamela Vincent of Central City; brother Ronnie (Dana) Vincent of Powderly; sister Carolyn Sue (Tommy) Jernigan of Powderly; step-daughter Kellie Staples; step-son Stephen Rickard; grandchildren Chris (Shawna) Laster, Chasity (Henry) Martin, Derrick Vincent, Andrew Toll, and Tyler Vincent; six great-grandchildren; and two step-great-grandchildren. Funeral services will be Saturday, July 30, 2016, at 11:00AM at Tucker Funeral Home in Central City, with Bro. Mark Poiles officiating. Burial in Mt. Pisgah Cemetery. Visitation will be Friday after 5:00PM at the funeral home. Online condolences may be made at www.tuckerfuneralhomes.com. The beautiful and interactive Eternal Tribute tells Gathel's life story the way it deserves to be told in words, pictures and video. So sorry for your loss Pam. Love ya sweetie. Growing up in this family was a wonderful time in my life. I love you all. Was sad to learn of your husband's passing my long time friend Sue...Sending my condolences to you and yours...Know God is watching over each of you.